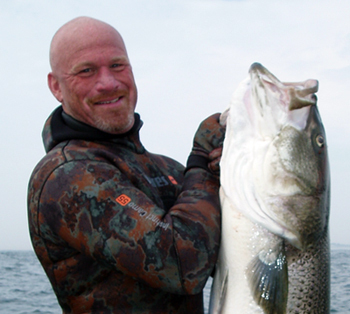 The post Spearfishing Class on Long Island appeared first on School of Fish Swim and Scuba. 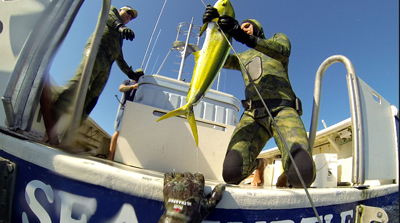 The post Spearfishing 101 appeared first on School of Fish Swim and Scuba. The post Come on in the water is warm appeared first on School of Fish Swim and Scuba. Dive season is in full swing! The water is almost 70 degrees in the Sound and visibility has been 8 to 12 feet for the last week depending on location and tide. Last night we made our first night dive at Mt. Sinai Jetty for 2013. Lots of the usual creatures stirring about on the jetty: spider, hermit and horseshoe crabs, sea robins, blackfish, blowfish, toad fish, porgies, fluke and stripped bass all checked in on the 55 minute dive. Visibility was between 8 and 10 feet last night. July 4th we are heading over to Oldfield Point for a mid morning dive. We did some freediving and hunting at Oldfield this morning and the visibility was 12 feet at high tide so the dive on the 4th should be awesome. Check out our local diving page for our upcoming dives, more dives will be added as the season moves on.